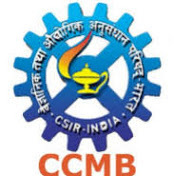 CSIR-Centre for Cellular and Molecular Biology, Hyderabad (CSIR-CCMB) is a Premier Research Laboratory under the Council of Scientific & Industrial Research (CSIR), involved in multidisciplinary R&D programmes of both basic and applied nature across scientific disciplines of biological science for economic, environmental and societal benefits of mankind. Essential Qualification & Experience: BE/B. Tech or equivalent with 55% marks in Computer Science / Bioinformatics with two years experience in High throughput/Big data analysis or experience in developing system / database for analysis and handling high throughput genomic data such as Next Generation Sequencing based data. Job Specification: To contribute as team member, to high throughput Big data analysis, primarily DNA sequence data generated in NGS approaches. Essential Qualification & Experience: BE/B.Tech or equivalent with 55% marks in computer science / Bioinformatics / Biotechnology with two years experience in web management and creation of web tools along with developing website and its maintenance. Desirable Qualification: Familiarity with Linux and managing databases. Job Description: Management of Institute website, Creation of web-based tools and work as a team member of the IT group. Essential Qualification & Experience: B.E/B.Tech or Equivalent with 55% marks in life science with five years experience in Research/teaching/skilling experience in modern biology techniques with first-hand knowledge of diverse molecular biology techniques/NGS techniques/cell culture/stem cell technology/bioinformatics of genomics data analysis. Desirable Qualification: High degree of proficiency in Scientific communication & writing skill and presentation. Qualification & Experience: BE/B.Tech or equivalent with 55% marks in any life science subject with five years experience in the area of Scientific Communication and Scientific Writing with Govt. organizations/Research institutes. Desirable Qualification: Familiarity with modern web-based communication methods, ability to explain modern biology to general public.